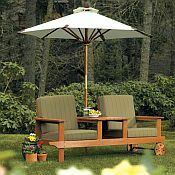 The natural beauty of Wooden Patio Furniture can enhance the pleasures of the natural spaces outside your home. 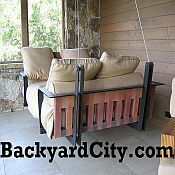 Lounge comfortably in one of our Cedar Arm Chairs while resting tired legs on a Cedar Footrest. 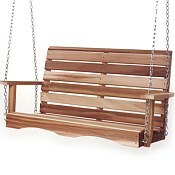 Indulge in a juicy novel or sip a cool drink as you rock gently in a Cedar Glider or Porch Swing. 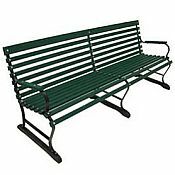 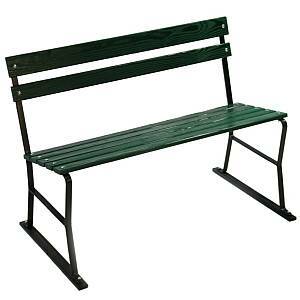 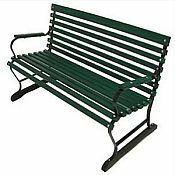 Share an evening conversation with good friends on one of our many stylish Garden Benches. 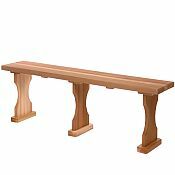 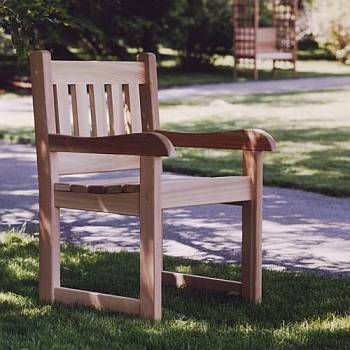 Or, bask in the shade of your favorite tree while resting comfortably on our beautiful Tree Bench, handcrafted from unfinished and untreated Northern White Cedar. 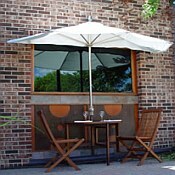 The possibilities for your outdoor enjoyment are unlimited. 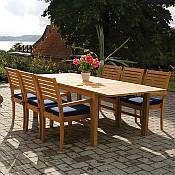 We also carry beautiful Eucalyptus furniture, Chinese Oak and Teak Outdoor Furniture. 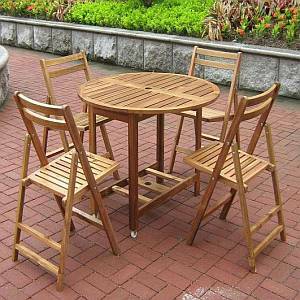 Perhaps you would prefer the classic design of Adirondack Furniture as the focal point in your outdoor living space. 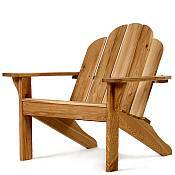 Adirondack style furniture is marked by deep seats, curved backs, and wide armrests - very comfortable! 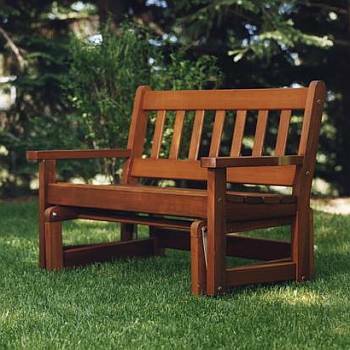 Our Adirondack Furniture is made from Northern White Cedar which is shipped in its natural color of pale tan or light gold. 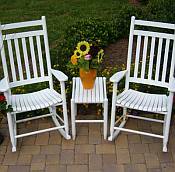 Over time, the color will change evenly to a silvery gray, but this can be delayed by using water based or oil stains on the furniture. 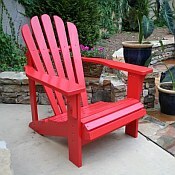 This Natural White Cedar Adirondack Furniture can be used indoors or outdoors. 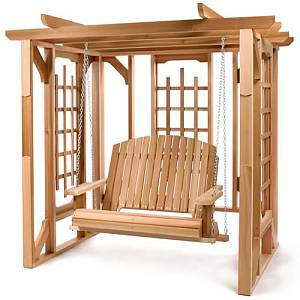 The fresh cedar aroma is a mild insect repellent so these products are resistant to insect damage and decay. 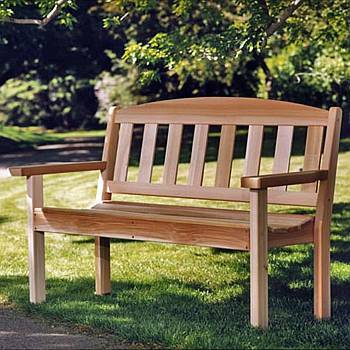 Our Northern Cedar, grown in the Northeastern United States, is natural and untreated. 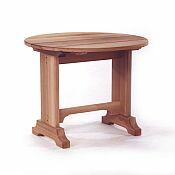 Only the most carefully select cedar trees are used. 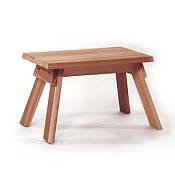 Cedar is the best choice for this furniture as it absorbs and loses moisture slowly, which minimizes the dry cracking, splintering and swelling which is more commonly found in pine. 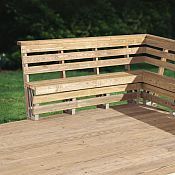 The U.S. Forest Products Laboratory's highest rating for decay and disease resistance has been awarded to cedar. 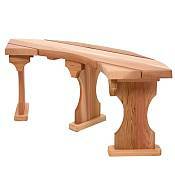 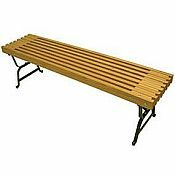 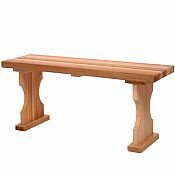 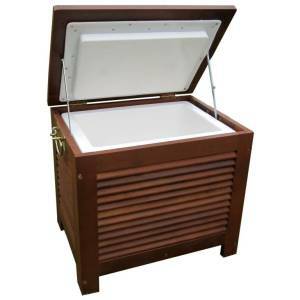 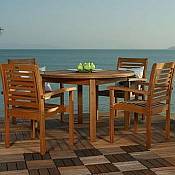 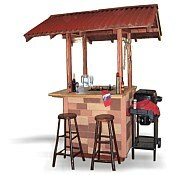 Maintaining Outdoor Wood Furniture in this informative article.